Peer learning is at the core of the course and all the committees and clubs actively function to facilitate it. The campus has all the facilities that a student can expect. 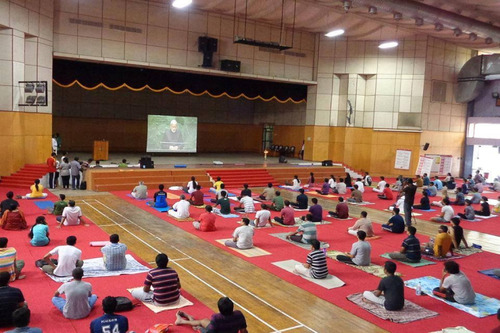 Sports facilities at IIT Madras are great and thoroughly enjoyed by the students. The rigorous classes, academic research, live projects and internships (there is a winter internship too along with the summers) leave just enough time to get some sleep/have fun. College life in DoMS is completely different when compared to other B schools in the country as far as I know because here entire department is research oriented which makes students to acquire knowledge that can be applied practically. Academics is not so different if compared. Some of the top researchers in India from management stream are working as faculty in DoMS. 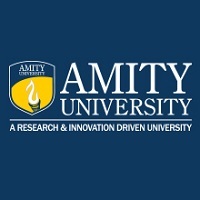 The best college in India. This college exceeds not only in education, infrastructure and placements but also in extra co-curricular activities as well as gives hands on experience on industrial procedures and activities. how was the experience of a non-engineer at iit-m ??? if i got a score of 80-90 percentile in cat 2018,do i have any chance to get a call from any iim...!! Does 10th 12th % play a role in admission process as well as future placement? What's the eligible UG percentage? Can we join even I had arrears? The Indian Institute of Technology in Chennai (Madras) has like the other older IITs has become synonymous with excellence. It is often remarked how in India, kids hear more about the IITs when they are growing up, than about their cousins, such is the rush towards reaching this very top. Lakhs of students from all over the country enrol themselves over countless hours of coaching classes in order to secure a seat among these IITs. Within this elite list of institutions, there is a super- elite sub- group known as the original IITs, which is a group of the 7 original ones which are – Delhi, Mumbai, Chennai, Kharagpur, Kanpur, Guwahati and Roorkee. It was founded in 1959 with assistance from the then West Germany. 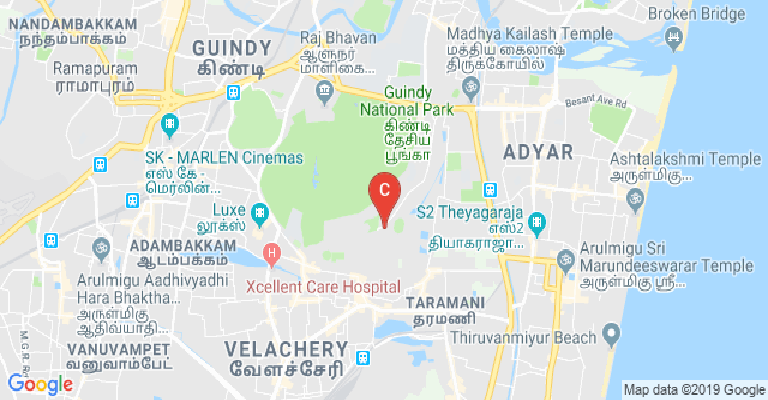 The campus is perched right next to one of the prominent national parks in the state of Tamil Nadu. Due to this location, wildlife sightings are quite common here. The campus is also large measuring about 617 acres in area. Several courses can be pursued at the IITM. This includes the B. Tech, M. Tech, MBA, MSc. and even an MA. There is also a dual degree. 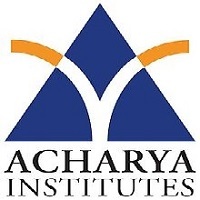 The academics is run by the respective departments which are in- Aerospace Engineering, Chemical Engineering, Civil Engineering, Electrical Engineering, Mechanical Engineering, Chemistry, Engineering Design, Mathematics, Applied Mechanics, Biotechnology, Computer Science & Engineering, Physics, Ocean Engineering and Metallurgical & Materials Engineering. Realizing its importance over the coming years, the IIT- Madras even has a specialized Humanities and Social Sciences wing. The Department of Management Studies at the Indian Institute of Technology Madras (DoMS) came up in the year 2004, but has its roots much earlier. Right from the IITM’s inception in 1959, a course modelled around management education came up, offered by the Department of Humanities and Social Sciences. The MBA programmes was first started in 2001, before being passed on to the DoMS. These programme here, are restricted to engineers and science graduates only. This is because the programme here is not geared towards the creation of general managers, but for domain experts in the fields around technology management. At present, the general MBA may be pursued in the areas of- Marketing, Finance, Human Resources & Organizational Behaviour, Integrative Management, Operations and in Information Systems. There is also an Executive MBA whose target group is working professionals. An innovative programme run jointly by three elite institutions is the one- year PGPEX (Post Graduate Programme for Executives) – VLM (Visionary Leadership in Manufacturing). This programme is facilitated by the IITM, IITK (Indian Institute of Technology, Kanpur) and the IIMC (Indian Institute of Management, Calcutta). It has three knowledge collaborators as well, in the CII (Confederation of Indian Industries), JICA (Japan International Cooperation Agency) and the DIPP (Department of Industrial Policy and Promotion). The selection to these courses used to be via the JMET (Joint Management Entrance Test), as then with all the management programmes at the IITs and the IISc. But since 2011 onwards, the IITs have placed themselves within the CAT (Common Admission Test) gamut, to reduce the examination pressure on the students. Doctoral programmes may also be pursued over here. Research and Entrepreneurship are extremely important aspects at the DoMS. That is why this department also runs an MS programme at the master’s level, with specialization in the two areas. 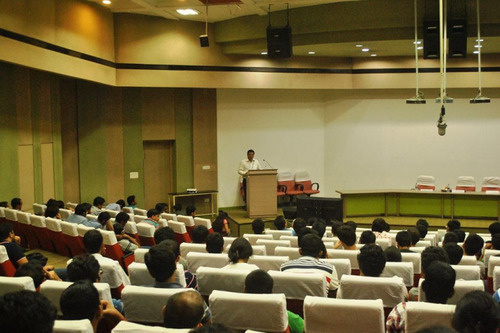 The DoMS is also a participant at the IIT Madras Research Park in Chennai itself. There is also an Incubation Cell here (IITM-IC. It helps develop the budding entrepreneurs among the students for the institute. Experienced trainers and entrepreneurs are invited to campus to deliver guest lectures and interact with those who have such business models. Some industrial bodies and corporations have even signed up as collaborators for the IITM- IC here. The DoMS is also a winner of research fellowships such as the Erasmus Plus, Endeavour Scholarship and the DAAD (Deutscher Akademischer Austausch Dienst). The DoMS has also been extremely proactive when it comes to forging international ties. 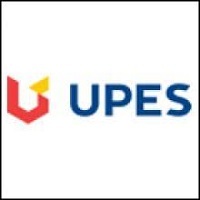 Such agreements help in faculty and student exchange programmes, research collaborations and with consulting assignments. These key partners are spread out across the countries, such as Asutralia, Germany, Japan and Singapore. The key partners here are- the Curtin University & the University of Technology Sydney from Australia, the University of Passau from Germany, University of British Columbia in Canada, Management Center Innsbruck from Austria, the Nanyang Technological University from Singapore and the National Institute of Informatics & University of Tokyo, both from Japan. All this and much more has led to extremely high ranks accrued by the DoMS across platforms. It has been placed as the 11th best within the management category by the Careers 360 magazine. The placements have likewise been healthy for several seasons now. Some of the key recruiters in recent years have been the likes of- Google, IBM, Cisco, Tech Mahindra, Titan, Wipro, Avalon Consulting, RBS, Ford, Dell, Amazon, McKinsey, Siemens, ICICI Bank, Federal Bank, May Bank, Fresh Desk, Accenture, CRISIL, VIP Industries, Brilio, Virtusa and several more. 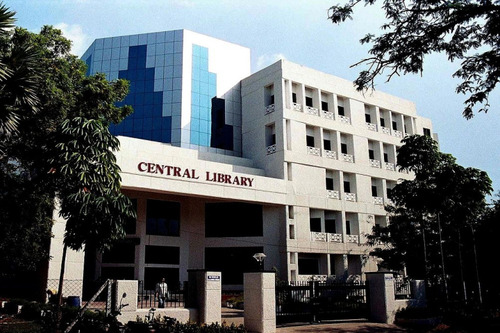 Library :The Central Library is well equipped with modern facilities and resources in the form of CD-ROMs, On-line databases, audio video cassettes, books, e-journals, patents, e-standards, theses, reports, monographs etc. The library homepage will provide electronic access to various full text &amp; bibliographical databases &amp; e-journals. 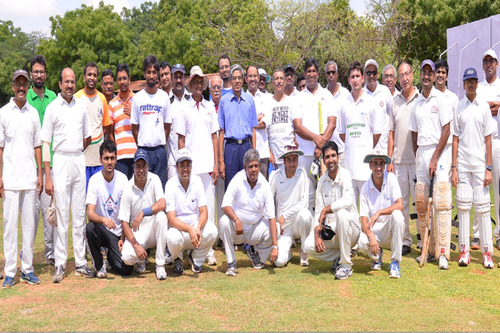 Alumni Associations :Alumni are those founding pillars which form the backbone of any Institute. They not only depict a picture about the past but light the way for the present and the future batches. 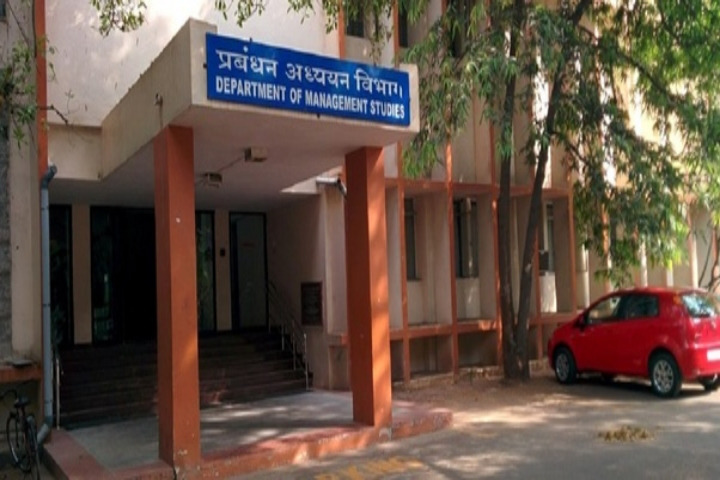 Over the years DoMS, IIT Madras has produced successful managers who have not only adapted themselves in different roles across various domains and organizations but also written their own success stories as entrepreneurs.